TO CLIMB, PERCHANCE TO FLY! Pauline Wiessner researches communities of hunter-gatherers. She is particularly interested in the questions of how relationships of reciprocity and social networks are used to reduce risk but on her way to studying these questions she branches out into medical anthropology, ethno-archaeology, ethology, ecology, warfare, ritual, oral history, as well as modern and traditional court systems. She has lived in Vietnam after the war, in the highlands of Papua New Guinea and in Southern Africa too, with the Bushmen, whose language she speaks fluently… “I am still learning”, she told me full of sincerity. Then, she says something in kung and the whole of Africa seems to be contained in that sound, in a verbal nutshell. When she received the International Award of the Spanish Geographical Society, Wiessner delighted her audience in Madrid with a summary of her life. “I spent my childhood”, she started, “at the end of a rope”. Of course, that was in the company of her father, Fritz Wiessner, a most celebrated Himalayan climber born in Dresden, who settled in New York City in 1929. I got the impression though, after her first words, that what she really longed for since childhood was to have wings and fly. And, to a certain extent, isn’t that a potential “next step” for someone who has been hanging at the end of a rope? Flying is something human beings feel envious about when they see birds soaring above. However, birds are the only ones within the animal kingdom that seem to have a longing for talking. I suppose that since birds already “sing”, they are half way to it. 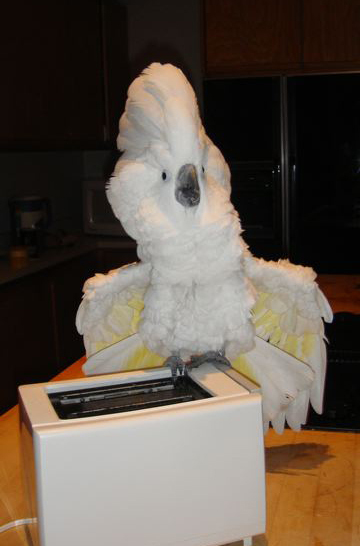 It came as no surprise to me then when Pauline told us that a snow-white cockatoo lives in her house, in Salt Lake City. 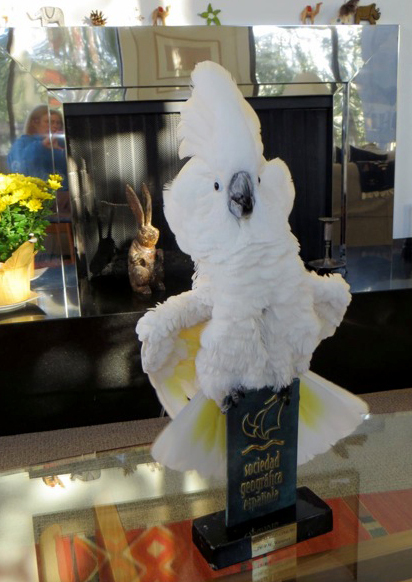 I hardly knew anything about cockatoos -birds that have a certain swagger-, if it weren’t for a story, The Cockatoos, written by Australian Nobel Prize winner, Patrick White. The short story takes place in a seemingly rundown, peripheral residential area somewhere in Australia, where humans seem to fare worse than cockatoos but without noticing it. 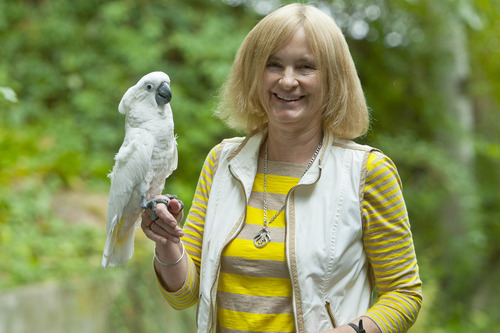 The main character, a music student in her youth, has an inner and compassionate urge to offer as a present some music to the cockatoos that visit the gardens in front of her house, and her wish leads her to play them a record. Since she is sure that the mezzo voice is their voice she chooses the closest to it she has: Donna Elvira singing Mi tradì quell’alma ingrata….an aria from Mozart’s Don Giovanni. She even produced once her violin, and played for them in the darkness of her room while the cockatoos “composed their crests along their heads, eyes tender with a wisdom which, like most wisdom, threatened to become obscure or irrelevant”. It’s then that Patrick White laments that there is no statue of the Commendatore at hand where cockatoos would, no doubt, have loved to perch and listen to the music. The exchange of qualities and gifts among humans or among animals on the whole was at the core of our sparkling conversation at the dinner to welcome the Award winners. Exchange itself is a most prominent pattern of culture, i.e., of our lives, and to study its rules is to plunge straight into what existence and culture are basically made of. In fact, our conversation was an unforgettable token of it. Her face was radiant when asked about what Bushmen had given to her in exchange of all that she had given them.